The Moto Z is a phone built around a strong gimmick, but it’s a gimmick nonetheless. A little over a year after release, the company has added some interesting Mods to its selection, but none have offered an entirely compelling justification for the phone’s modular system. That certainly applies to the new Alexa Smart Speaker. On the face of it, the addition is a no-brainer, riding on the surprising success of Amazon’s home assistant. 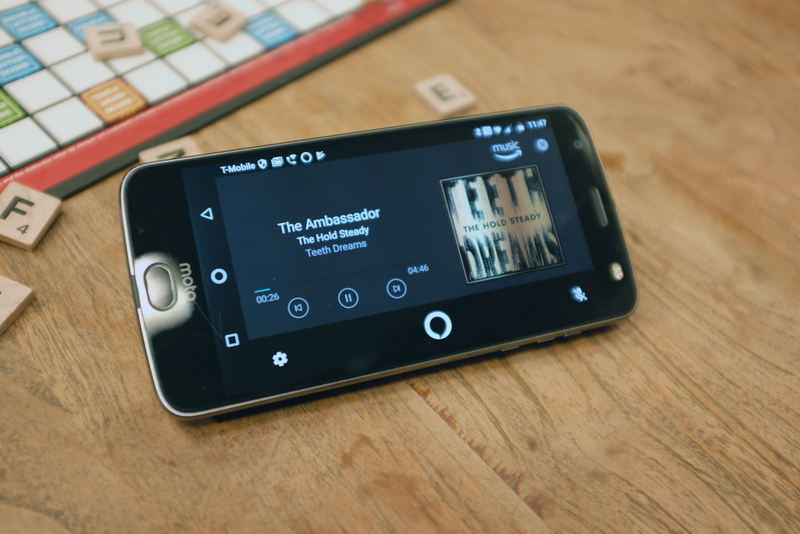 The Mod brings the popular AI to the Moto Z, while turning the phone into a sort of makeshift version of the Amazon Echo. Sounds good, right? And the Mod is surprisingly well-crafted — but there’s one key hangup with the add-on: its price. At $150, a lot of the handiness of having an add-on that turns your phone into an Echo kind of goes out the window. That, after all, is $50 more than the second-generation Echo — and the same price as the Echo Plus. Heck, it’s $20 more than the Echo Spot, which also has a screen built in. For those who can get around the price tag, the Smart Speaker is an interesting addition to the Mod selections. And the press images don’t really do it any justice. 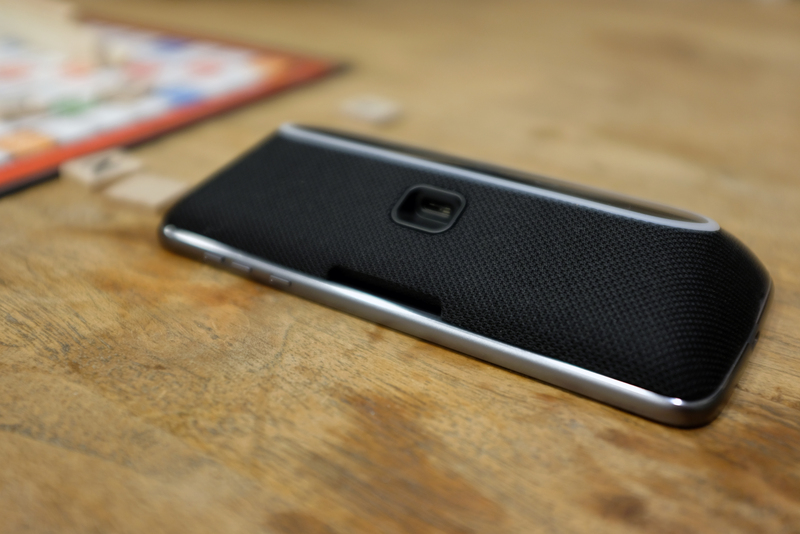 It’s got a nice cloth-covered design, with a flat base that lets you prop it to the Moto Z, so you can view the display, without muffling the speaker output. Like the Echo, the ring around the base glows blue when you speak the wake word. It’s a lot easier to see with the screen facing down, but that kind of defeats the whole purpose of using the speaker with your phone. As for the speaker itself, well, it’s not great. It beats the phone’s built-in sound system in terms of both quality and volume, but it gets distorted fast and is really no replacement for a standalone Bluetooth speaker. 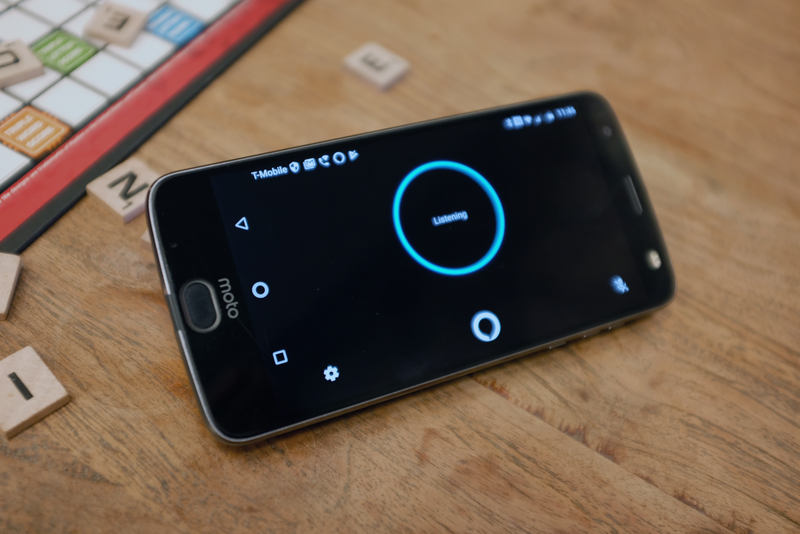 As with other mods, the handset recognizes the accessory immediately when plugged in, though you’ll need to download a special Moto Alexa app to use it. You also need to make sure you’ve got the SIM card installed in the phone or it won’t go to work. The app has some of Alexa’s new functionality — you can customize it to recognize only your voice, for example. But I couldn’t take advantage of the screen by using it to play video off of Amazon Prime. The accessory is pretty good at listening. I was able to trigger it at a low volume from several feet away, so you can, say, access it while it’s charging. Beyond that, I’m having a bit of difficulty coming up with too many scenarios in which this phone + smart speaker configuration is particularly useful. Frequent travelers who miss their Echo when they leave it at home, perhaps? Really, the Alexa Smart Speaker highlights the larger issue with most of these Mods. It’s a neat system, but the benefits of having it tied to a modular phone are, at best, minimal. And the fact that the Mods so often cost more than the products they’re designed to replace doesn’t help much, either.